The Basic System includes the Marathon Controller and the Foredom Hammer Handpiece only. 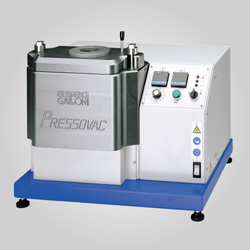 The Marathon Micromotor Controller features dial adjustable speed control, overload cutoff switch, forward/reverse switch, and accepts an optional variable speed foot rheostat (listed in drop-down menu below) and a wide variety of micromotor handpieces. The 35,000rpm Rotary Handpiece features a well-balanced ergonomic design that fits in your hand like a pen, convenient quick-tool-change mechanism and flexible phone-type cord. 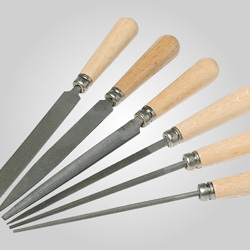 Measures 6"L and tapers from 1" to 5/8" diameter. Weighs 7.5 oz. The Foredom Hammer Handpiece is perfect for stone setting — both prong work and channel setting. 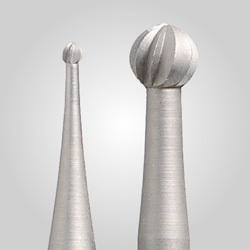 Also used for texturing and for engraving using the included graver holding attachment. Three anvils with threaded shanks, wrench, tightening pins and an adapter for non-threaded anvils, motor brushes and a handpiece tray included.